Death is not the only bad thing that happens to babies at homebirth. 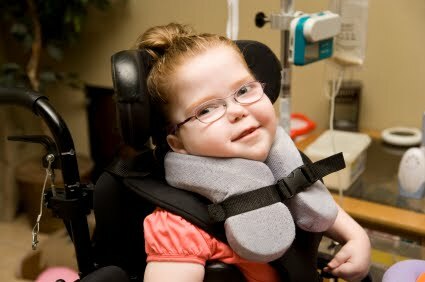 … Please don’t let the extent of my DD’s disabilities scare you. She’s on the very severe end. She spent 2 months in the NICU and went home with a feeding tube. If your DD is eating ok, she’s already showing good signs. Let me know if you have any more questions. Hopefully more people will be by soon. There are quite a few of us on this board who have little ones with brain injuries. 4. Dd2 was supposed to be a hbac, but pretty much everything went wrong. She was posterior and asynclitic and I was in agony, finally transferred after nearly 3 days of labor when my labor was stalling and her heart rate was falling. I had my second c/s and she spent 2 weeks in the NICU. She had had a massive stroke at some point (probably prior to labor, but no way to know for sure) and was severely brain damaged. It’s not surprising, really, when you consider that the major risk to the baby of homebirth is lack of oxygen. When fetal distress (which indicates oxygen deprivation) occurs at home, there is no way to perform an immediate C-section to rescue the baby. When a breech baby has a trapped head, it is often cut off from oxygen until it it born, however long that may be. When a shoulder dystocia occurs, the baby is cut off from oxygen until the body is born, however long that may take. Almost all of the many, many stories of homebirth death are the result of prolonged oxygen deprivation. When enough brain cells die, death is the inevitable consequence. But brain cells begin to die minutes or (in the case of chronic moderate oxygen deprivation in labor) hours before the baby ultimately dies. If the baby is born anywhere along that time period from the onset on brain cell destruction to the ultimate death of the baby, brain damage, possibly severe brain damage, is often the result. What is the risk of brain damage at a homebirth? No one has a clue, because homebirth midwives don’t record catastrophic outcomes. To the extent that they collect any data at all, it is data on neonatal death, and we already know that homebirth increases the rate of neonatal death. It is hardly a stretch to posit an increased risk of severe outcomes short of death. Does homebirth increases the risk of neonatal brain damage? Almost certainly, but the truth is that no one knows because homebirth advocates can’t be bothered to even check. Dr. Amy fully supports CNMs.